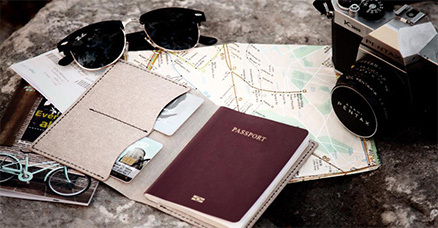 Designer and manufacturer of recycled leather goods, and eco-paper. 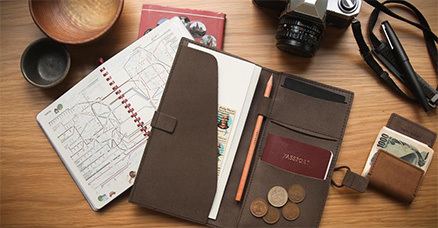 The company sells tote bags, gadget bags, wallets and stationary items. 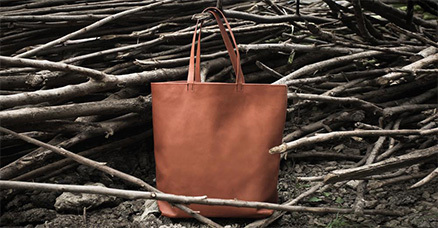 Every piece is designed under strict eco-friendly ethics, built to be durable and long last. The company aims to create products using environmentally friendly innovations as well as raising the quality of Thai products. The company have designed not only the process of products but also the sourcing of materials. It aims to consume the least amount of energy as possible through these processes. Founded in 2005. 10 years old. - Build up confidence in Thai products amongst Thai and international consumers. - Sourcing new eco-friendly material to be used in the brand’s products. 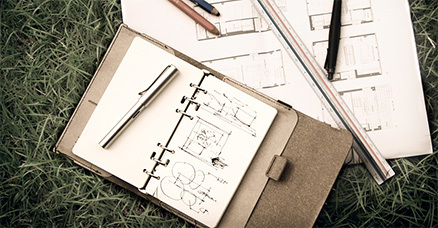 - Creating environmentally sustainable office aiming to reduce energy consumption. 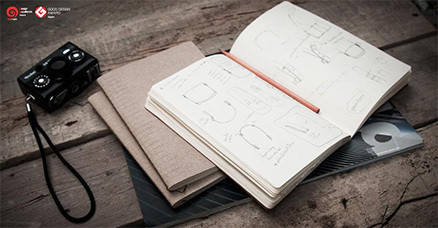 - Raising awareness about waste amongst consumers through the brand’s products. Help elevate the status of Thai entrepreneurs in on the international stage. Build confidence in Thai products among foreign buyers. 3/1 Nonthaburi 39, Sanambinnam Rd., Thasai, Muang, Nonthaburi, 11000. Here is a story of leather craftsmen who did not let the limitations of the leather making process. 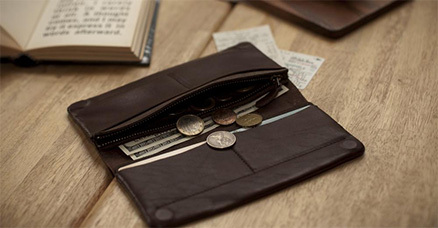 Labrador is a Thai leather goods maker that has developed their tanning process and production using design thinking to minimize the use of chemicals. 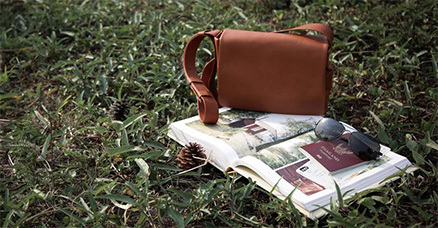 Anek Kulthaveesu, design director and founder of Labrador, started the brand 10 years ago wanting to create environmentally friendly leather goods. Today the brand is known for its quality both in Thailand and internationally. It has built up loyal clientele who were attracted to Labrador’s responsible standpoint. Thailand Trust Mark is a symbol of excellence given to Thai brands who prossess is eco-conscious qualities and are socially responsible. Labrador is one of the brands that prossess all the required qualifications for T Mark. The brand has become a role model for other businesses because of its eco-friendly stance. Labrador does not only make its designs eco-friendly, its ethics also extends to the design of their office. The building has been designed to consume as little energy as possible, paying attention to every detail from walls and windows to the site’s natural conditions of wind flow and sunlight. Human resource is also an important factor that helps move their business forward. 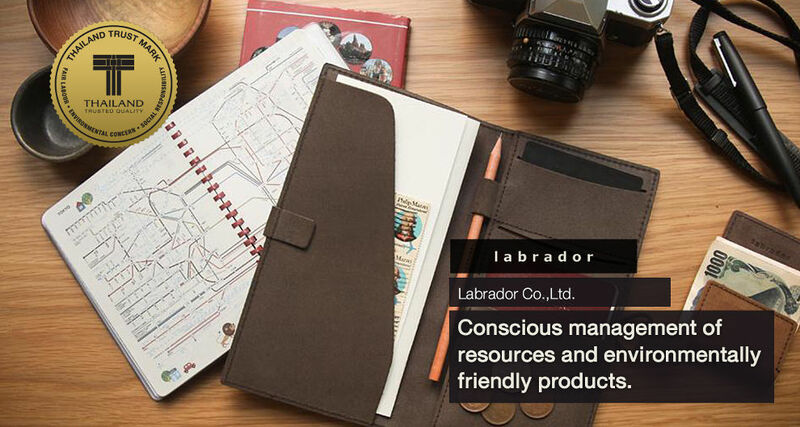 All of Labrador’s employees possess an eco-conscious mindset that coincides with the company’s vision. Therefore, every aspect of their life, from their duties at the company to their daily routines minimize their impact on the environment. “Labrador is founded with a strong philosophy. It is why what we do naturally seeps into our team’s lives which in turn, reflect back onto our work ethics,” Anek comments. Thai brands are known for impeccable craftsmanship. This is also what Thailand Trust Mark takes to heart. T Mark encourages Thai entrepreneurs to display their strength internationally. For Labrador, its signature/bestselling products are the results of intense. Many prototypes were made to test the functionality and practicality of the items. Adjustments were made to create the best products possible. “I studied design and what I learned in school has taught me to understand that in every process of creating a product there will always be mistakes and failures. We put a lot of effort into researching, coming up with a strong hypothesis and creating prototypes because we want this new approach to product development to become the strength of Labrador,” comments Anek. Paving the road for ‘green business’ is no bed of roses. It can be difficult to persuade leather tanneries who are normally used to their traditional ways, to make changes and develop products together with Labrador. However, all the hard work pays off when the outcome is an environmentally responsible products in the market. “We make changes little by little and let time be the judge of our efforts. The tanneries finally saw that what they helped us achieved resulted in increasing sales. They then willingly reduced the amount of harmful chemicals used,” says Anek. Eco-friendly products, in essence, are all about management of production process, such as using leftover materials from other products and creating durable, long-lasting products. Labrador has strengthened the brand’s environmentally responsible stance further by offering to repair their items for customers. Conscious management of resources and environmentally friendly products. 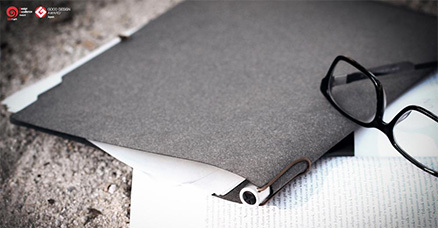 Being accredited and certified by a trusted organization is very important for products that are exported overseas. It not only seizing this as a guarantees and gives confidence to the consumer. It can also be utilized as a production guideline for the manufacturers by identifying areas for improvements. Gaining the Thailand Trust Mark (T Mark) help elevate the status of Thai entrepreneurs in international stages. Build confidence in Thai products among foreign buyers.